Back on Market buyers financing fell through - no issues with inspections - no issues with appraisal. 3 Br 2 Ba Block Home on large lot with attached oversized two car garage. The seller has replaced the following: NEW Roof - NEW HVAC - NEW stainless appliances -NEW Garage Doors and motors - NEW tile floor in kitchen and both baths - NEW vinyl planking in huge laundry room. Sprinkler system completely rebuilt with new control panel - Upgraded electric sub panel - NEW granite and backsplash in kitchen -updated baths - fencing in backyard - NEW sod in front yard- NEW Sherwin Williams carpeting -fresh coat of paint interior and exterior. Enter into large living / dining area with separate space for home office or dinette. 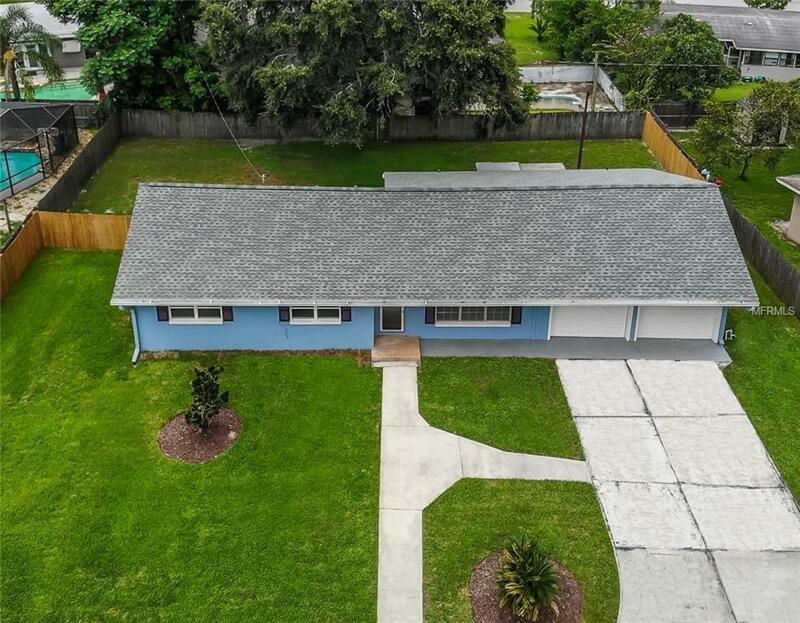 Large galley style kitchen with stainless appliances - updated cabinets , backsplash and granite countertops leads out to fully fenced large backyard. The bedrooms are fantastic and generously sized both baths have been updated. Your buyers will not be disappointed when you show them this home -- just need to add personal touches. Easy access to schools - shopping - local conveniences and roadways. Buyer and selling agent are advised the seller has never occupied this home and they should verify all information relative to their purchase including but not limited to sq ftg - lot size - room dimensions - taxes - permits - HOA fee's and dues (if necessary) utilities and condition. Listing provided courtesy of Solutions Realty Of Tampa Inc.